4). HDMI 1.4 version (Support HDMI1.4 4K@60Hz YUV4:2:0). 5). Transmit up to 70m under 1080p,40m under 4K@60Hz. 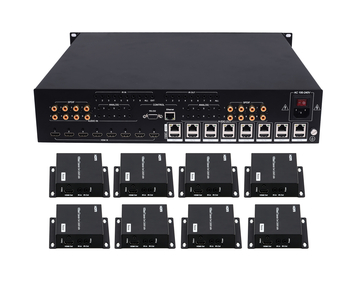 Support 8x Analog Audio and 8x SPDIF Audio extraction. 11). 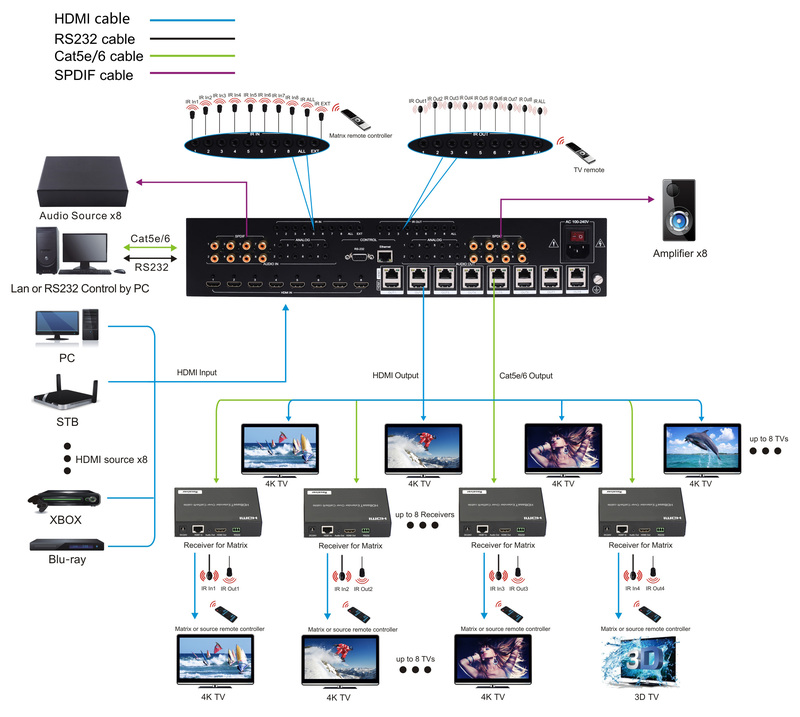 Support POC (Receiver powered by HDBaseT Matrix).